The experience & compassion you need for a work injury. For a musculoskeletal work injury of the foot and ankle, you can rely on Philip Wrotslavsky. 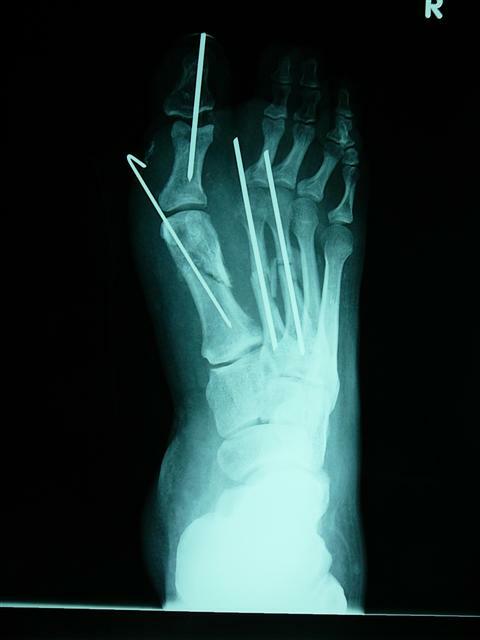 He is one of San Diego’s leading foot and ankle surgeons and has experience working with people who have been injured on the job. Dr. Wrotslavsky is always focused on your recovery. He has a great deal of respect and understanding for people with on-the-job injuries and knows you need to get better as soon as possible. He diagnoses and treats all work-related injures of the foot and ankle.While Dr. Wrotslavsky is a highly qualified surgeon, he actually helps most people avoid surgery, with the latest conservative medical care such as bracing and physical therapy. If you do need surgery, you’re in excellent hands. Dr. Wrotslavsky offers specialized skill and experience with the safest, most effective surgical procedures that get you back to your routine faster. You may already have discovered what a confusing maze the Workers’ Compensation system can be. Dr. Wrotslavsky can help. He participates in many MPNs (medical provider networks) including State Fund, understands the AMA impairment ratings system, and provides the accurate, timely reports that are necessary to keep your case going smoothly. To talk with the doctor about your work injury and your Workers’ Compensation case, schedule a consultation today: 888-451-3770.